Inside the courtyard at Dinh Dong Thanh. The tree is old but the temple itself is only a few years old. One of the more interesting temples I stepped inside on a recent visit to the Old Quarter of Hanoi is the recently renovated Đình Đông Thành 亭東城 (loosely: “East City Pavilion”). 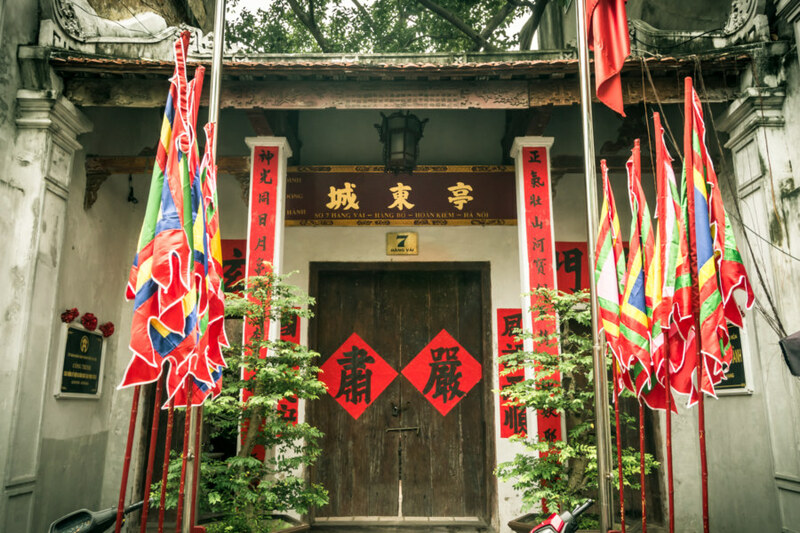 Having explored many temples in Taiwan over the years I was familiar with some of what I found there—but much of it was completely foreign to me. Looking up information after the fact hasn’t been educational; there are no English language resources about this temple and I haven’t got the same knack for finding information in Vietnamese as I have with Chinese language resources about Taiwan. 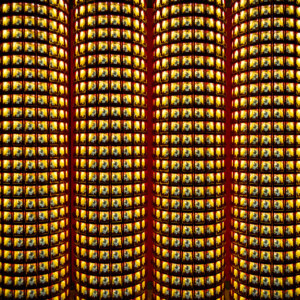 So, if you’ll pardon my lack of local expertise, I’m going to share a few photos from this obscure temple and attempt to puzzle through some of what caught my eye. The entrance to Dinh Dong Thanh. 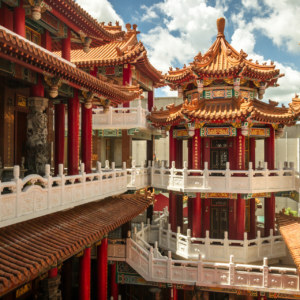 The name in Chinese translates to something like “East City Pavilion”. 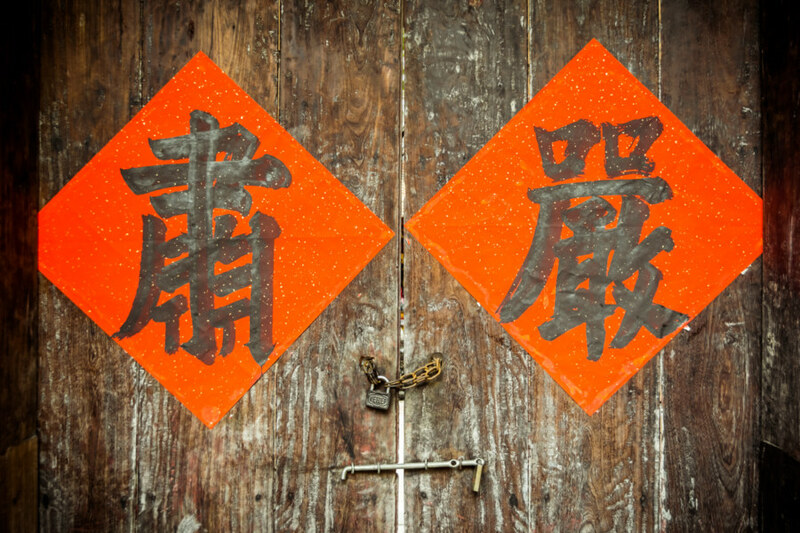 These Chinese characters spell out yánsù 嚴肅, seriousness or solemnity. 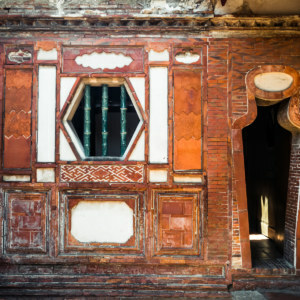 First, a little history: this temple reputedly dates back to the early 19th century. 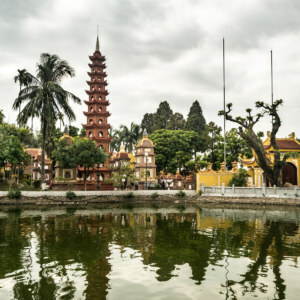 It is located on Hàng Vải, an Old Quarter street traditionally known its fabric vendors (“Vai” literally means cloth), and for this reason it is also known as Dinh Hang Vai. 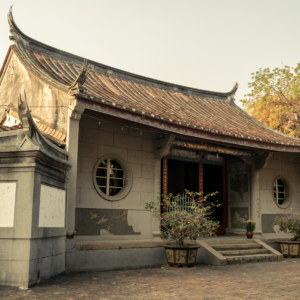 Most accounts I’ve perused highlight the fact that this temple was used as a first aid station for Viet Minh fighters during the Battle of Hanoi in winter 1946, an urban insurgency against the French that began the First Indochina War. Just a few years ago the entire temple was stripped down and completely reconstructed. 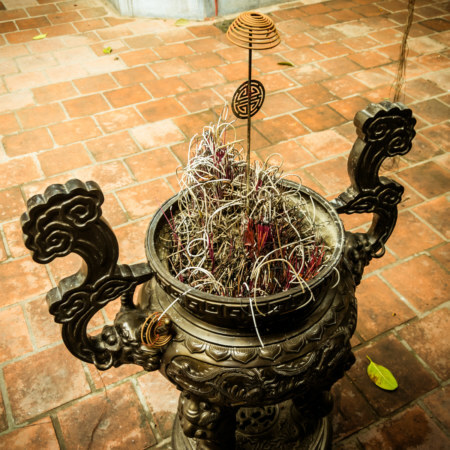 The censer out front is filled with curled incense. 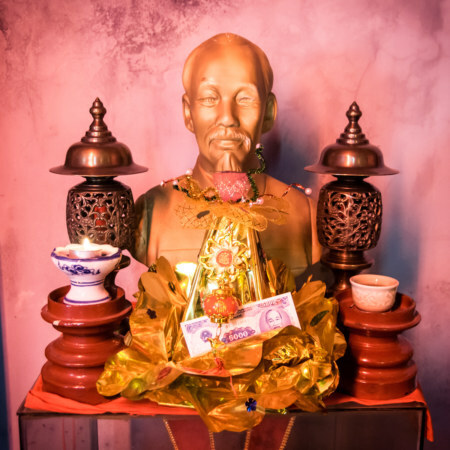 A shrine to Uncle Ho, founding father of modern Vietnam. 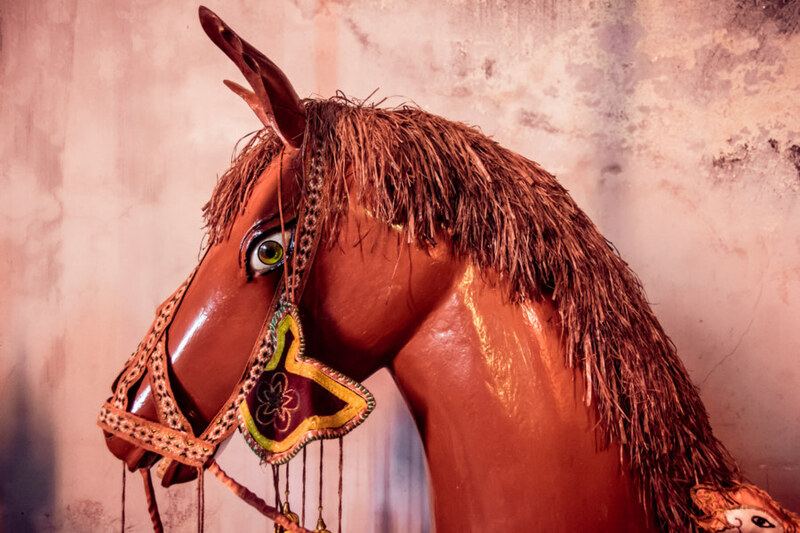 A red horse rests against a wall inside Dinh Dong Thanh. White horses are of particular importance to Hanoi but I don’t know how red horses fit into the big picture. 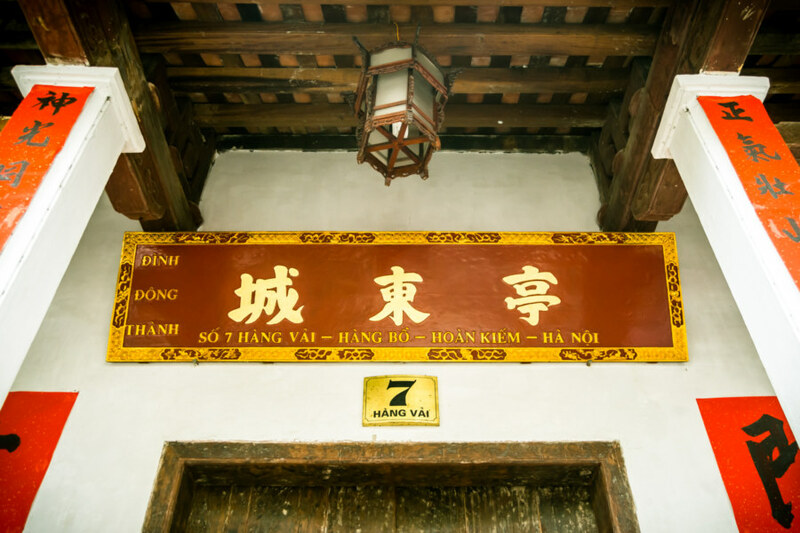 The plaque reads Ban Công Đồng Mẫu. Unless I am mistaken this is an altar to the goddesses of childbirth and motherhood. 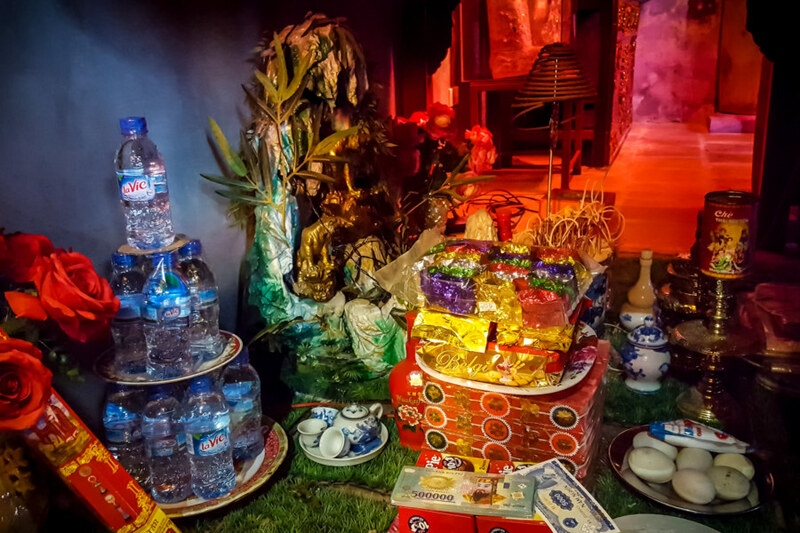 It is interesting that some of the offerings would be bottles of whiskey. 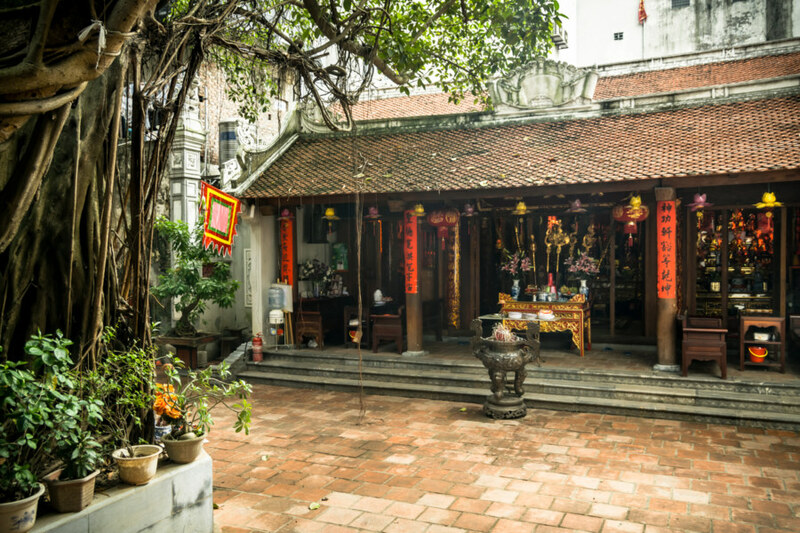 The shrine at the back of the temple venerates Tran Vu, the “dark and mysterious warrior” associated with the north star. The idol itself is apparently an antique made out of bronze. 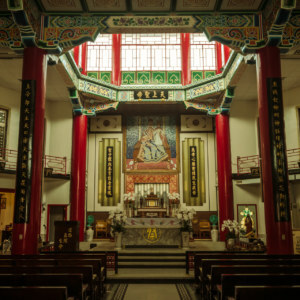 This temple venerates the Taoist deity Trấn Vũ, god of the north star, known in Chinese as Xuán Wǔ 玄武. 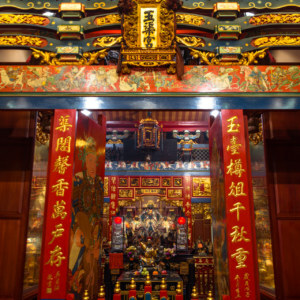 I have previously written about this god at length in my write-up about Hengwen Temple 衡文宮 in Taiwan so I won’t repeat myself here. Suffice to say, the dark and mysterious warrior is joined by the same two generals you’ll find at most temples in Taiwan. 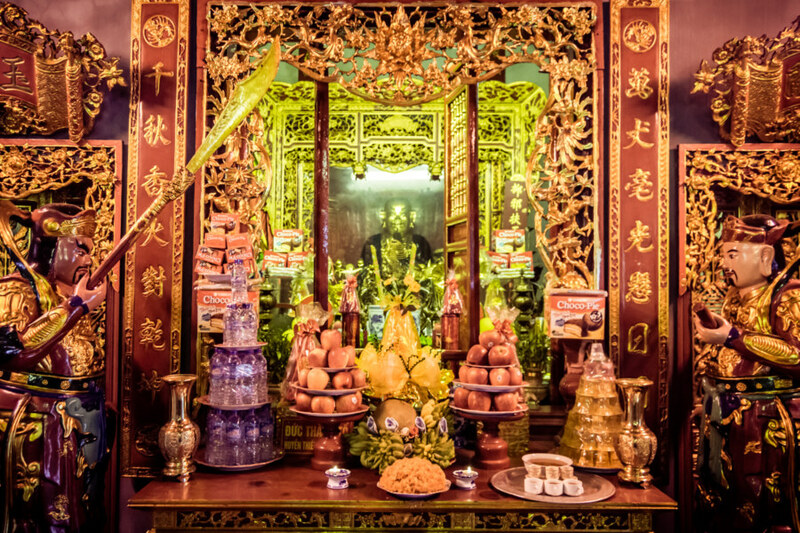 Tiger general shrine beneath an altar inside Dinh Dong Thanh. 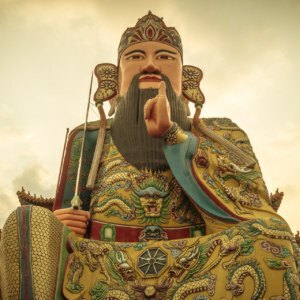 In recent months I have acquired a new hobby: hunting for Hǔ Yé 虎爺, the tiger general of Chinese folk religion. Tiger shrines are typically placed beneath other altars, usually Tudigong 土地公 or some other martial god, often in hidden nooks and recesses. The reason for this placement is simple: it symbolizes the god on the altar above riding the tiger like a man would ride a horse! 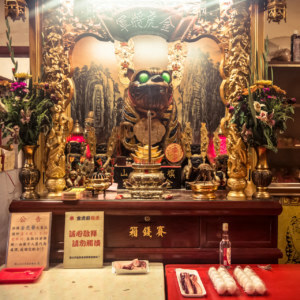 It is curious, then, that this tiger general shrine would be placed beneath the mother goddess shrine depicted above, but that’s another story. 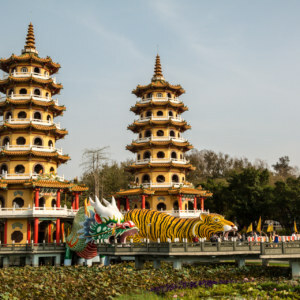 At any rate, it is great fun to go looking for tigers in any temple you visit in Asia, and finding Hu Ye in this one was a nice surprise. One last look at the nameplate over the entrance to the temple. The address here is plainly visible if you’d like to go take a look for yourself. Incidentally it was nice to wander around a Vietnamese temple not set up for tourism at all. 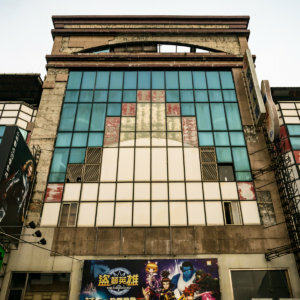 I couldn’t even find this place on Google Maps and had to look up the name by translating the Chinese characters from the nameplate over the entrance. 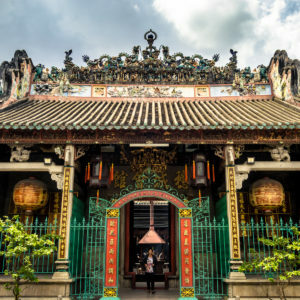 Nobody was present when I visited—I just slipped my shoes off at the door and stepped lightly across carpeted concrete floor while circumambulating the altars as I applied some of my growing knowledge of temple culture in Taiwan to a very different context. 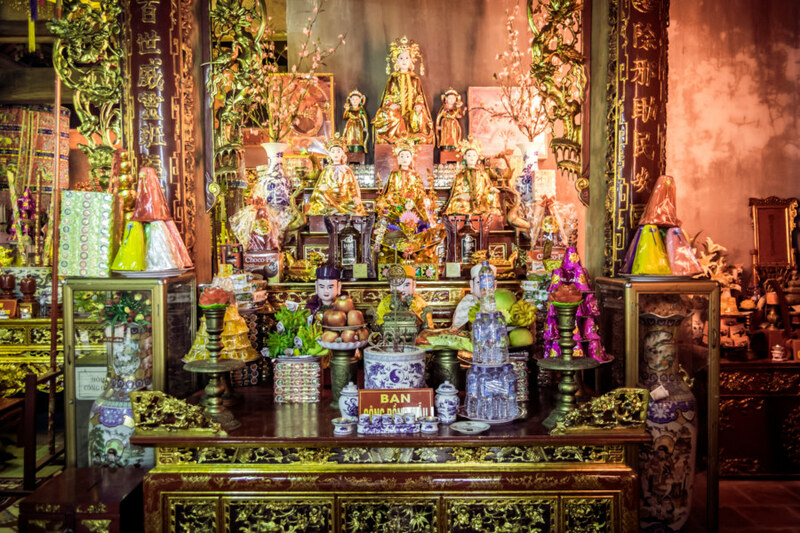 For more about Chinese temple culture in Vietnam check out this post from Cholon, a historic Chinatown down south.